From 1997 to 2007, the Convention’s Web site has posted reports from more than 95 countries of WWD activities of all sizes and shapes, from lectures and seminars, nature walks, children’s art contests, sampan races, and community clean-up days, to radio and television interviews and letters to newspapers, to the launch of new wetland policies, new Ramsar sites, and new programmes at the national level. On February 2010 World Wetlands day was held in Korea under the Ramsar support. The day is really important, to raise awareness about the importance of taking care of wetland habitats and the wealth of wildlife which these environments support. Groundhog Day (Pennsylvania German: Grundsaudaag, Murmeltiertag) is celebrated annually on February 2nd. According to folklore, if it is cloudy when agroundhog emerges from its burrow on this day, then spring will come early; if it is sunny, the groundhog will supposedly see its shadow and retreat back into its burrow, and the winter weather will continue for six more weeks. Modern customs of the holiday involve celebrations where early morning festivals are held to watch the groundhog emerging from its burrow. Scottish sailor Alexander Selkirk was rescued on 2 February 1709, after spending more than four years as-a castaway marooned on an uninhibited island in the South Pacific, events which likely inspired the story Robinson Crusoe by Daniel Dafoe. As An unruly youth he joined many buccaneering expeditions to the South Sea, including one commanded by William Dampier, which called in for provisions at the Juan Fernández Islands off Chile. Selkirk judged correctly that his craft, the Cinque Ports, was unseaworthy, and asked to be left there. By the time he was rescued, he had become adept at hunting and making use of the resources found on the island. His story of survival was widely publicised when he returned home, and likely became a source of inspiration for writer Daniel Defoe’s fictional Robinson Crusoe. Which was first published on 25 April 1719. This first edition credited the work’s fictional protagonist Robinson Crusoe as its author, leading many readers to believe he was a real person and the book a travelogue of true incidents. Russian-American novelist, philosopher, playwright, and screenwriter Ayn Rand was born in Russia 2nd February 1905. She is best known for her two best-selling novels, The Fountainhead and Atlas Shrugged, and for developing a philosophical system she called Objectivism. Born and educated in Russia, Rand moved to the United States in 1926. She worked as a screenwriter in Hollywood and had a play produced on Broadway in 1935–1936. After two early novels that were initially less successful, she achieved fame with her 1943 novel The Fountainhead. 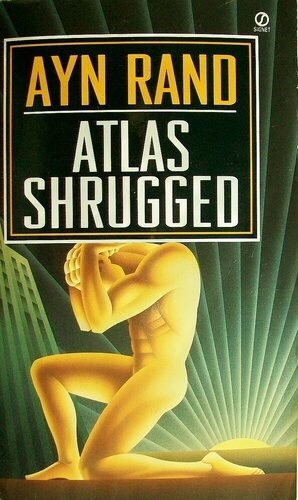 In 1957, she published her best-known work, the novel Atlas Shrugged. She then began writing nonfiction to promote her philosophy, publishing her own magazines and releasing several collections of essays until her death in 1982. Rand advocated reason as the only means of acquiring knowledge and rejected faith and religion. She supported rational and ethical egoism, and rejected ethical altruism. In politics, she condemned the initiation of force as immoral and opposed collectivism and statism, instead supporting limited government and laissez-faire capitalism, which she believed was the only social system that protected individual rights. She promoted romantic realism in art. She was sharply critical of most philosophers and philosophical traditions known to her, except for some Aristotelians and classical liberals. Rand’s fiction was poorly received by many literary critics, and academia generally ignored or rejected her philosophy. The Objectivist movement attempts to spread her ideas, both to the public and in academic settings. She has been a significant influence among libertarians and American conservatives.